In Our Translated World brings together for the first time, in a Tamil-English bilingual edition, poems written in Tamil from around the world. Since modernity shapes contemporary perspectives in important ways, the struggle between modernity and tradition looms large in this volume. 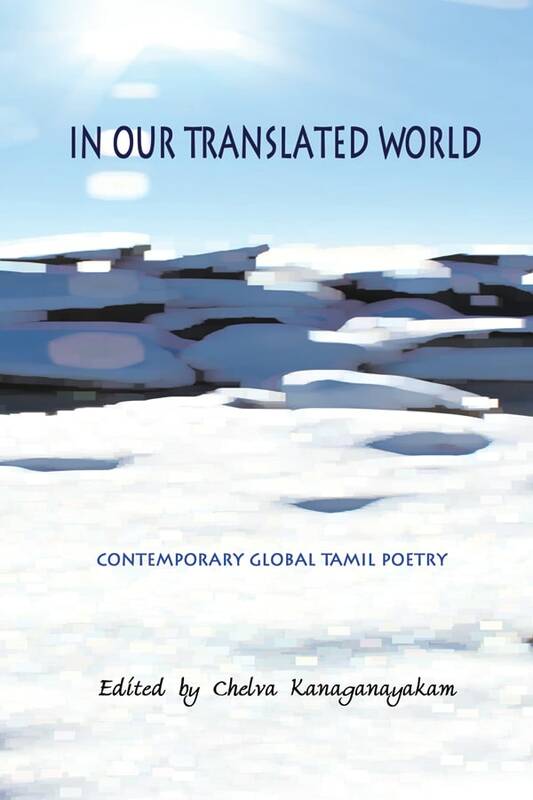 Taken together, these poems offer an exciting and insightful representation of the contemporary global Tamil experience. The rewards of editor Kanaganayakam’s cosmopolitan approach are richly evident in this text, midwifed into being by translators Anushiya Ramaswamy, Maithili Thayanithy and M.L. Thangappa. . . . Anthologies and translations enlarge the availability of good poets and poems. Kanaganayakam’s fine compilation accomplishes this aim. –Sascha Ebeling, Associate Professor of Tamil and South Indian Studies, The University of Chicago. Chelva Kanaganayakam is a professor in the Department of English at the University of Toronto and is also the Director for the Centre for South Asian Studies at the University of Toronto. His major publications include Moveable Margins: The Shifting Spaces of Canadian Literature (2005), Counterrealism and Indo Anglian Fiction (2002), Lutesong and Lament: Tamil Writing from Sri Lanka (2001), Dark Antonyms and Paradise: The Poetry of Rienzi Crusz (1997), Configurations of Exile: South Asian Writers and Their World (1995), and Structures of Negation: The Writings of Zulfikar Ghose (1993).